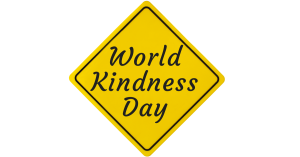 Did you know that World Kindness Day is observed each year on November 13th? Can you imagine if for one day the entire world could treat each and every person with genuine kindness? What an incredible day that would be. While we can’t control the entire world, we can influence the world around us. And with World Kindness Day and Thanksgiving in the same month, November feels like the perfect time to spread some joy. ⇒ Be sweet. Literally. Bring donuts to the office, bake cookies for a neighbor, or drop-off goodies to your local police station or firehouse. Going out to dinner? Send dessert to a nearby table and watch for the smiles. ⇒ Do something around the house that is regularly someone else’s responsibility. Take out the garbage, empty the dishwasher or walk the dog ‘just because’ and lighten someone’s load a little bit (and don’t be surprised if someday they return the favor). ⇒ If you pack kid lunches, include a note with a kindness challenge. 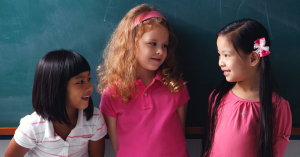 Encourage your kids to spread kindness in some small way at school such as paying someone a compliment, playing with a new friend at recess, or letting someone go ahead of them in line. ⇒ Send a text, email, or maybe even a hand-written note to someone just to let them know you’re thinking of them. ⇒ If you’re out running errands, check-in with a friend or neighbor and ask if they’d like you to pick up a few essentials to save them a trip. ⇒ Help a stranger – hold the door open, share an umbrella, let someone merge in front of you… even a small gesture could be the highlight of someone’s day. ⇒ Be encouraging. 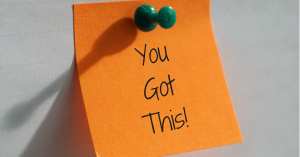 Write positive sticky notes for your family members and stick them around the house. Use sidewalk chalk to write inspirational notes for people to read as they’re walking by outside. ⇒ Help to ensure no one is alone for the holidays. If you have enough food and an extra chair, invite a friend or colleague to your Thanksgiving dinner that might otherwise spend the day alone. ⇒ Carry kindness in your pocket. Write and carry around small cards with little notes of kindness such as, “Thanks for being a great friend,” “I know you can do it,” “You make my heart happy,” or “Thanks for being you.” Pass the cards around when opportunities arise. ⇒ And what may be the hardest act of kindness for some… choose your words carefully. Make a conscious effort to take a breath before launching into an unnecessary argument, choose your words mindfully and thoughtfully when faced with a necessary confrontation, and whenever possible choose words of encouragement over words of criticism. We hope you’ll join everyone at S.O.S® this November as we work to make the world around us just a little bit kinder. How do you spread kindness? Let us know in the comments below or on the S.O.S Facebook page. And don’t forget to follow us on Facebook, Twitter, Pinterest and Instagram too! Why can’t we do “kindness” everyday instead of on one day only. Wouldn’t that be awesome. I bake Sour dough and Raisin Bread, which I share with friends and neighbors every week. I enjoy holding doors for strangers and, when I see an attractive person while out shopping, I compliment them. Most times, my gesture is met with surprise and a “thank you”. I am older and retired. I always offer to let others in front of me in lines. I have time to wait.